A solid skin-care regimen starts with the most basic but necessary step of them all: washing your face. This involves choosing the right kind of cleanser for your complexion’s needs, running water, and a working knowledge of how hard to scrub your face. The latter is where all of the confusion comes in. There are two camps when it comes to facial cleansing: the hard scrubbers and the gentle washers. Scrubbers are all about applying pressure so that the face is nice and red after its wash (er: workout), while the more gentle washers use a soft touch when massaging in the cleanser. Whichever one you are, chances are you don’t give much thought to the matter—you just do what feels right. Welp, after perusing the Skincare Addiction subReddit, I found one Redditor proclaim that they’ve changed their skin solely by gently cleansing their face rather than harshly exfoliating it. “Once I really started taking my sweet time, applying very, very light pressure, I noticed immense improvements in my skin tone especially, as well as smoothness, reduced redness, reduced bumpiness, etc.,” they write. So, essentially, let your cleanser and how your skin reacts to it, of course, guide your practices. 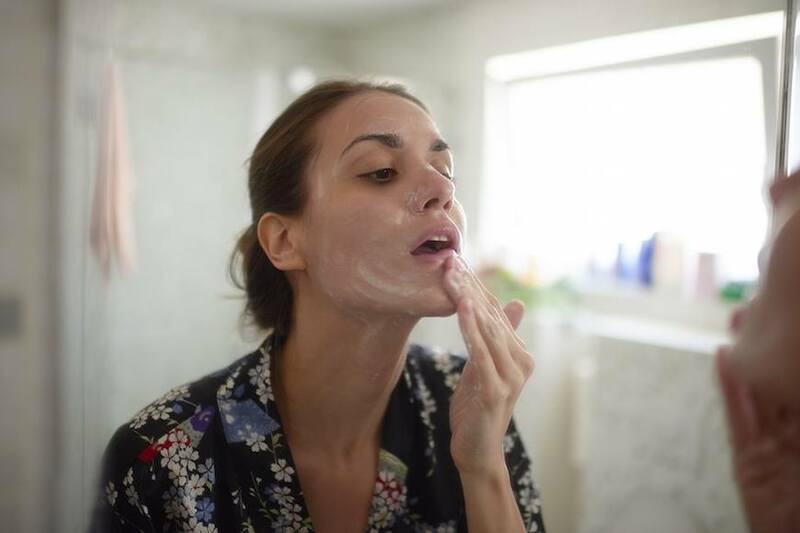 Using a normal, everyday cleanser calls for gentle hands, but if you’e exfoliating, mimic that sloughing-off action with more pressure to help the product really go to work or back off to get a more gentle skin sloughing. Bingo. For your face washing game, here’s the low-down on micellar water. And this is why to wash your face with sparkling water.